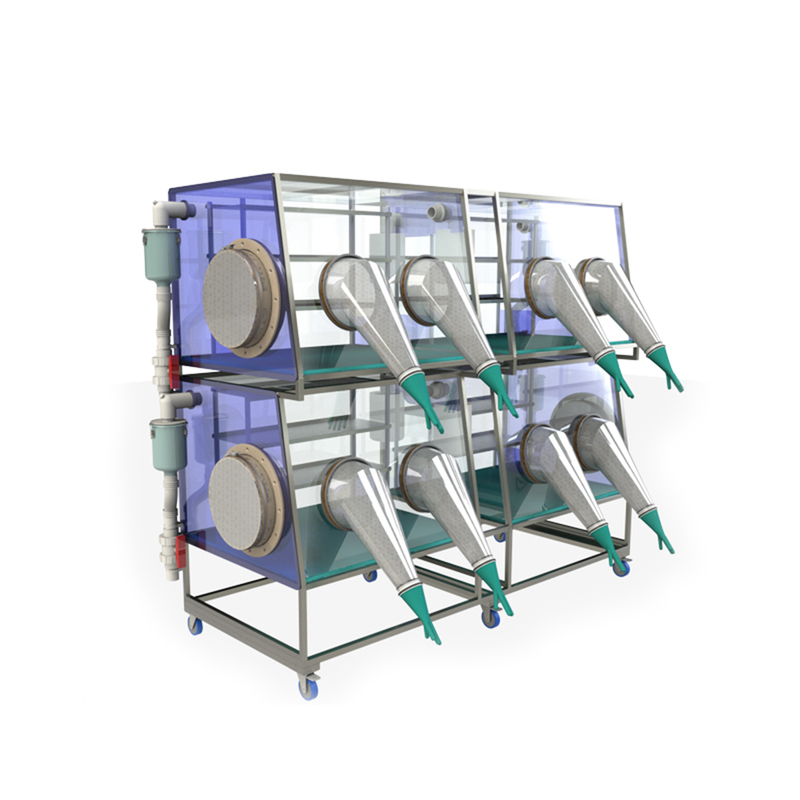 In order to maximise the productivity of valuable laboratory floor space this isolator is designed in a two tier, by two wide configuration which in effect provides four separate isolator chambers. This design employs the use of one air handling unit to supply all four chambers and is therefore more cost effective when compared to separate modules. With an easy to change reversible pressure polarity this isolator can be used for either positive pressure clean work or negative pressure containment work.